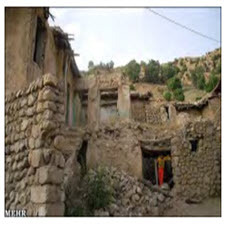 امروزه فرآیند شهرسازی همچون دهه های گذشته در حال افزایش است و فرصت های ایجاد شده ناشی از آن سبب افزایش مهاجرت به شهرها، تخلیه روستاها و ایجاد سکونتگاهای غیررسمی در حاشیه شهرها شده است پیدایش این سکونتگاه ها در اطراف شهرها و عدم مدیریت مناسب آن علاوه بر ایجاد کردن مشکلات زیست محیطی مانند آلودگی هوا، آلودگی آب و زباله های جامد در این سکونتگاه ها سبب عدم توازن جمعیت شهرهای اطراف آن میشود. با وجود تحقیقات و مطالعات سنتی که در زمینهء مهاجرتهای رو ستایی به شهرها در علم جغرافیا صورت گرفته است تا این اواخر، روابط شهر و روستا در استراتژی های توسعهء ناحیه ای، کمتر مورد توجه جغرافی دانان بوده است؛ در حالی که مراد از تحقیق در روابط شهر و روستا نه تنها تعیین این روابط، بلکه توسعهء -اجتماعی اقتصادی ناحیه ای در یک کلیت منسجم است که در نهایت به توسعهء -اجتماعی اقتصادی ملی بینجامد. Despite recent research and studies on rural migration to cities in the geography of science, until recently, urban and rural relations in regional development strategies have been less of a concern for geographers, while researching urban relations And the village not only determines these relationships, but also develops a socio-economic region in a coherent whole that ultimately leads to national socio-economic development. In developing countries, cities instead of capital, production, welfare income, and decision making Compared to the peripheral areas, it has been driven to focus, while it must be within a CI Urban themes, products, assets and income, and favorable conditions for socio-economic hierarchy fails to reach the rural and remote areas. However, nowadays, Third World cities have become central to the distribution of global capitalist products and have only converted to the consumption of national and global products. In this paper, descriptive and analytical methods are presented after expressing city-rural relations and program policies. In order to establish their relationship, we state the nine stages in the analysis of all settlement conditions. Considering that the aim of studying urban-rural relations is to reduce the deep inequalities between the socio-economic conditions of the city and the countryside, so any decision-making and planning should emphasize this important goal. Today, the urbanization process has been rising for decades, and the resulting opportunities have led to an increase in urban migration, evacuation of villages, and the creation of informal settlements on the periphery of cities. The emergence of these settlements around cities and the lack of proper management of it, in addition to Creating environmental problems such as air pollution, pollution of water and solid waste in these settlements causes an imbalance of the population of surrounding towns. In spite of the traditional research and studies on urban migration in geography, until recently, urban and rural relations in regional development strategies have been less attractive to geographers, while research on City-rural relations not only determine these relationships, but also develop-socio-economic areas in a coherent whole that ultimately leads to the development of a national-economic social economy.